The first international anthology to explore the historical significance of amateur film, Mining the Home Movie makes visible, through image and analysis, the hidden yet ubiquitous world of home moviemaking. These essays boldly combine primary research, archival collections, critical analyses, filmmakers' own stories, and new theoretical approaches regarding the meaning and value of amateur and archival films. 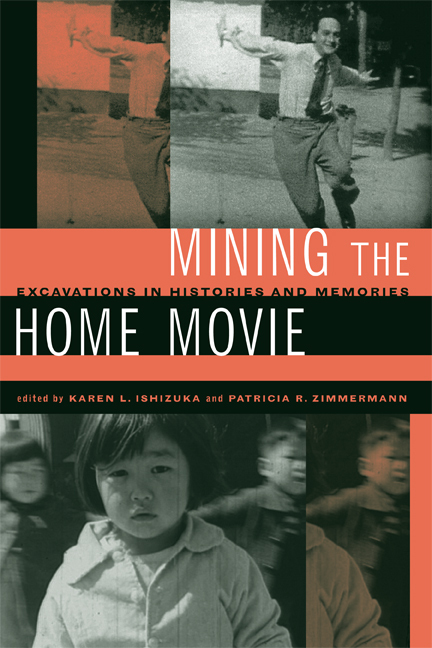 Editors Karen L. Ishizuka and Patricia R. Zimmermann have fashioned a groundbreaking volume that identifies home movies as vital methods of visually preserving history. The essays cover an enormous range of subject matter, defining an important genre of film studies and establishing the home movie as an invaluable tool for extracting historical and social insights. Karen L. Ishizuka is an independent writer, curator, and documentary producer and is the author of Lost and Found: Reclaiming the Japanese American Incarceration (2006). Patricia R. Zimmerman is Professor of Cinema and Photography at Ithaca College. She is the author of Reel Families: A Social History of Amateur Film (1995) and States of Emergency: Documentaries, Wars, Democracies (2000).